Q: How much does it cost to live at an Oxford House in Hawaii? A. The average weekly rent in Hawaii is $100.00 per week. Q: What are the requirements for admission to the house? Q: What are the House rules? No Drug or Alcohol use on or off the property. Using illegal drugs or abusing prescription or over the counter medication or consuming alcohol on or off the premises is strictly prohibited. Violation of this rule will result in immediate expulsion from the group. Even if a member is only suspected of relapsing on drugs or alcohol; they may be asked to leave in by majority vote members of the house suspect that a member has relapsed. The House must be self-supporting. Each member must pay their equal share of expenses in full each and every month. 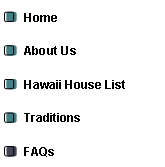 In Hawaii rent begins on the 5th of each month and concludes on the 4th of the following month.